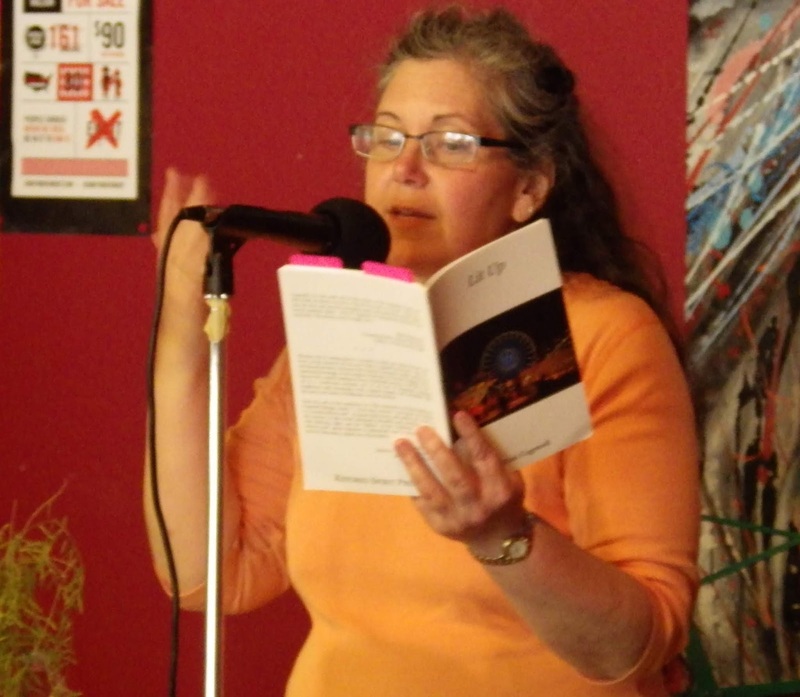 The time will come when you will be invited to feature at a reading. It may be a venue you’re familiar with, or one you’ve never attended. This will be an opportunity to maybe sell some books, and introduce yourself and your poetry to a whole new audience. You want to make a good impression. If you don’t have a new book now, you want to be asked back when you do have one…so you can sell some books, introduce yourself and your poetry to a whole new audience, etc. This list may be obvious to you. If so, great! It’s not all inclusive, so if you have other things that work, keep doing them. 10. If you’re reading at a coffee house, be sure and thank the Baristas. 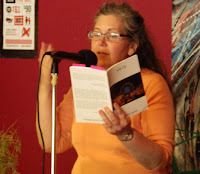 Not on the mic, but afterwards, thank them for oh, not running the steamer during your reading. If a hat was passed for you, tip them. They may not get much business on a reading night, and it will be appreciated. 9. Thank your hosts at the mic. Look at them when you thank them. Be sincere. 8. Your hosts will usually provide water, but make sure you have a bottle with you even if you have to buy it. It’s awful when you get dry-mouth smack in the middle of reading. Try not to swig like a sailor unless that’s your persona and everyone expects that of you. 7. If there’s also an open mic, your feature may be at the beginning or middle of the other readers. Be there early enough to see the readers before you. Stay until the end. Even if they are playing the bongos and singing their poems off-key, give them as much respect and attention as you expect from them. If you smoke? Go outside during a break, not during a reader. 6. Don’t wear a “poet costume” and try not to wear black. You know there is no such thing as a costume, so if you try to wear one, your audience will spend more time whispering to each other about how dumb you look and less time listening. Black does not provide a blank canvas for your words, it’s just black. Wear some color. Show some personality. 5. If you have books to sell, bring change. People will have twenties and if you don’t have change, they won’t buy. Alternatively, if you have two books you’re selling, and let’s say they total $24, you will end up selling both for $20. This could be a blessing and a curse. You probably didn’t pay your publisher cover price so you won’t be losing money. Your buyer will think you’re a wonderful person because you gave them a deal. If they like your work, they will buy more of it in the future. 4. DON’T EXPLAIN YOUR POEMS!!! Every writer in your audience knows there’s a story behind most poems. The most you could say is “there’s a story behind this. If you want to know, ask me at the break”. I say that all the time, and no one has ever asked me. This allows your listeners to become part of the poems with you. You have also timed yourself…unless you factor in five minutes to read a 30-second poem, you’re stealing time from the open mic readers who come after you. At some point they will stop listening and start fidgeting. 3. Scan the audience before you start reading. See if there are children present. If there are, censor your poems. Swap your alternate out for the extremely explicit, shocking poem you were dying to read. You know you shouldn’t read it. Another thing that works is to say “I’m going to say ‘_______’ for the dirty words”, and then do it. When you say ‘pumpkin’, and everyone in the audience knows that’s NOT the word you mean, you will get a chuckle. You’ll also have some appreciative parents and a curious audience who may buy your book just to see what the word really was. 2A. You might want to begin your reading with a poem you love by a poet you respect. This will introduce your listeners to someone they may not know. One poem less of yours is not going to change the world but such a small thing is such a big thing. It will show you are generous with your allotted time and make your listeners feel like you want to share with them. They made the right decision not to stay home and watch TV. And starting with a poem by someone else will let you get comfortable with the whole setup before you start impressing people with your own work. 2. Rehearse, rehearse, and rehearse! Continue to time yourself. This will give you comfort and allow you to look up as you are reading. Nothing is more boring than 20 minutes of someone looking down and reading into a mic. If you feel comfortable, you’ll be able to make eye contact. You’ll be able to smile. This does not mean you should memorize your poems, although if you can, you can use BOTH hands when you read. A comfort level is key to a good feature. 1. Find out how much time you’re being expected to read. Pick out a number of poems and time yourself. Pick an alternate poem and time that. Make sure you come in about five minutes less than your allotted time. This is to allow time for applause (!). This is also to allow time for a bit of chatting between poems. A little chatting will make your listeners feel comfortable. You will be their friend, not a guest lecturer. The best thing you can hear is a chuckle. The second best? Applause. Laugh at me on Youtube. I used to think I looked like I had a mustache and no teeth until someone explained that the lighting is often horrendous, and that’s the reason why. Yes, I’m wearing black but I also look up, smile, and chat before the poem. So no, I don’t always follow my own advice, but I try. And have a blast! Mom, you are VERY kind!!! Love you. May 13th Reading! Bring a poem!